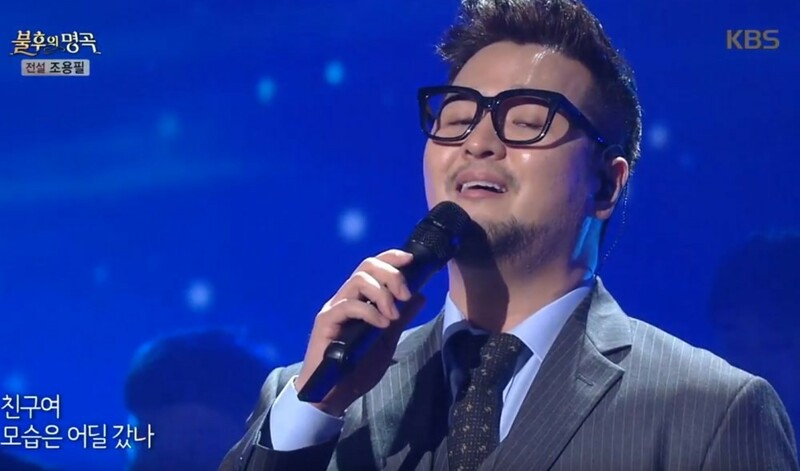 Kim Tae Woo serenaded to his friends on the April 21�Cho Yong Pil�special of 'Immortal Song'. On part 1 of the special dedicated to Cho Yong Pil, Kim Tae Woo covered the legendary singer's 1983 hit "Dear Friend". He expressed, "I want to sing like sunbae does without change," showing his respect. Cho Yong Pil responded, "I've listened to a lot of Kim Tae Woo's songs. Tae Woo, you did very well." Though Kim Tae Woo's performance impressed Cho Yong Pil as well as the audience, it was�Kim Kyung Ho�who took the final win on this episode. The Cho Yong Pil special continues next week!